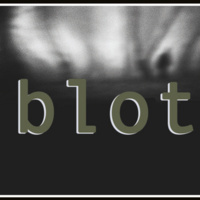 blot is a juried exhibition marking the 200th anniversary of the publication of Mary Shelley’s Frankenstein. The title comes from Frankenstein’s creature wrestling with his identity in chapter 13: “Was I, then, a monster, a blot upon the earth, from which all men fled and whom all men disowned?" blot features work in a range of media by artists who are grappling with issues raised by Shelley’s novel. Dr. Steven J. Kraftchick outlines several of these issues in his essay, “Who is a Monster, When?” published in 2018, by focusing on fundamental questions of identity, such as beauty and ugliness, true representation, the boundaries of good, and responsibility for our creations.